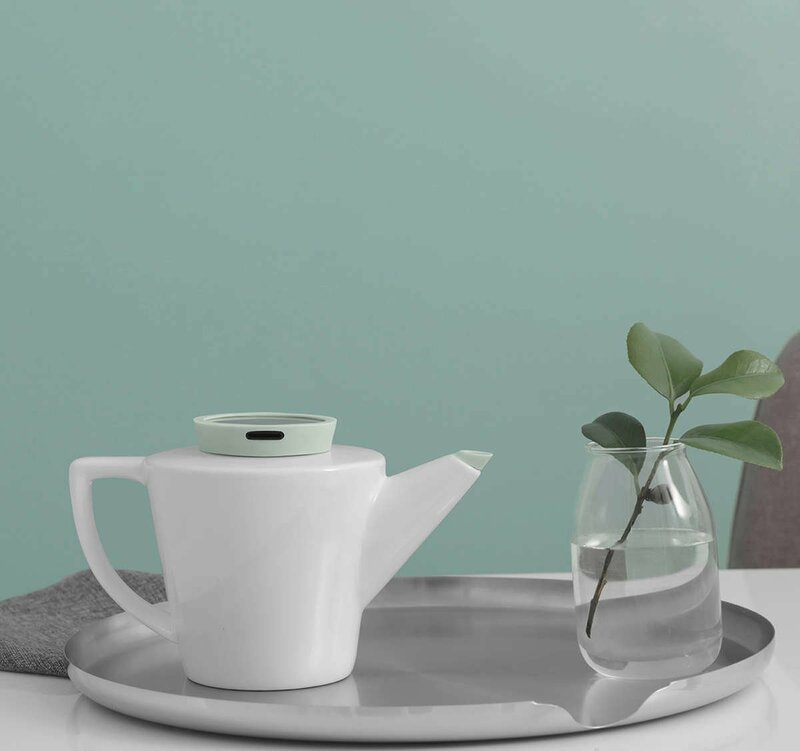 The clean lines of the Infusion glass teapot have been reimagined into this soothing porcelain version. Share your favourite brew with loved ones. Thanks to the intelligently designed silicone cap, the tea will stay fresh and hot as you chat the hours away. Size: L: 22.8 cm - W: 13.3 cm - H: 13.4 cm - Vol: 1.20 L / 40.50 fl. oz. Thanks to our award-winning drip-free design, the tip - made from our special Istoflec silicone - at the end of the spout eliminates drips entirely. 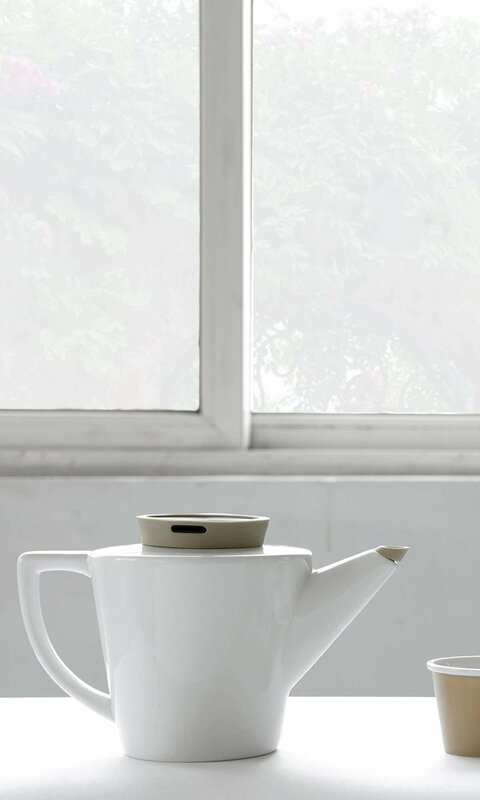 You’ll enjoy drip-free pouring from all the teapots in our Infusion range. The best way to boil you water is to use a standard kettle, then transfer the water into the Infusion teapot to steep and serve your tea. 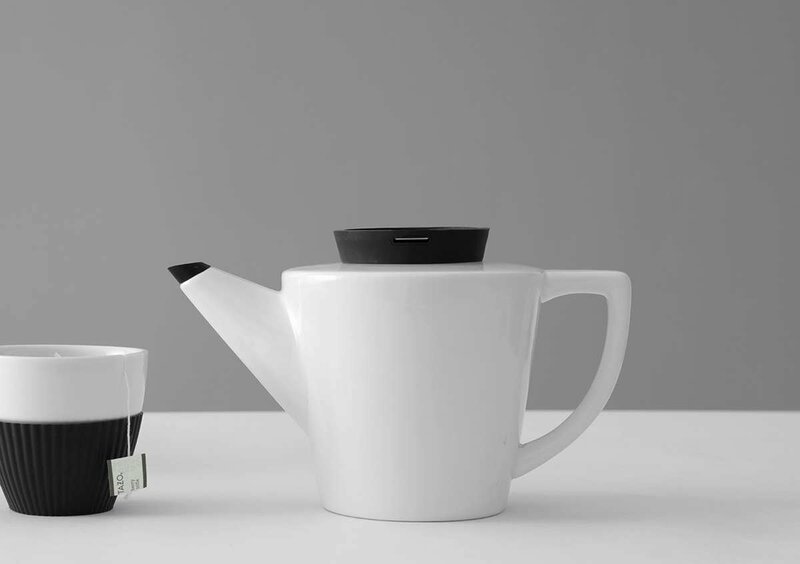 This teapot is not suitable for use on a stove-top or microwave. The Infusion porcelain teapot has been finished with a glossy glaze. This gives it a tasteful classic look that suits most décors. The matte texture of the silicone components provide a wonderful contrast in both colour and texture. Can the infuser be removed? Absolutely, the rust-free stainless steel infuser basket can be removed from the teapot and lid for easy cleaning. You may also want to remove it if you choose to brew your tea without an internal strainer - whatever works for you!